No, I haven't misspelled the title of this post - there's no way anyone would make Peking Lamb from the little lamb. Surely? From what I can tell, these are Dormer sheep, a cross between Dorset Horn rams and German Marinos. Together the two names make Dorset-Marinos, or Dormer for short. 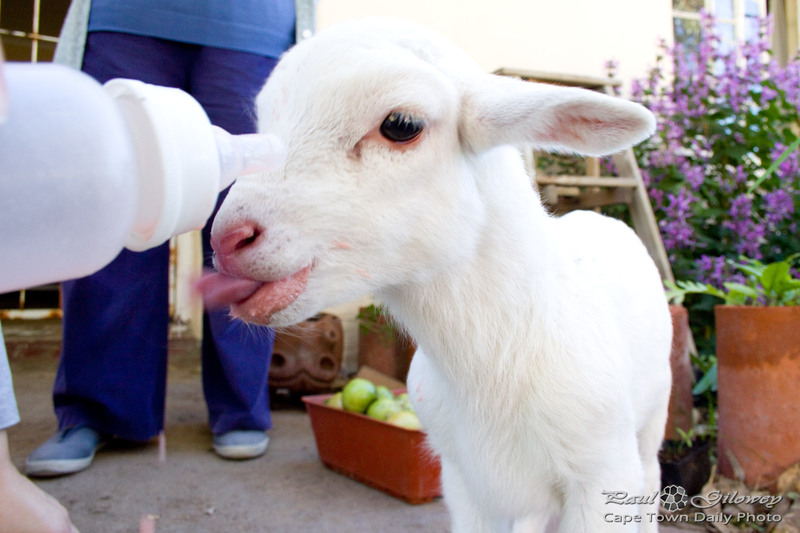 The Dormer was specifically bred to be a mutton breed capable of adapting to cold and rainy winters, such as what we're currently experiencing in Cape Town! (It really is very wet and very chilly today, by the way!). Apparently the reason for having lambs at this time of the year is because of the abundance of food in winter, and the lack there of in summer. Posted in General and tagged animals, lambs, sheep on Thursday, 7 June, 2012 by Paul. 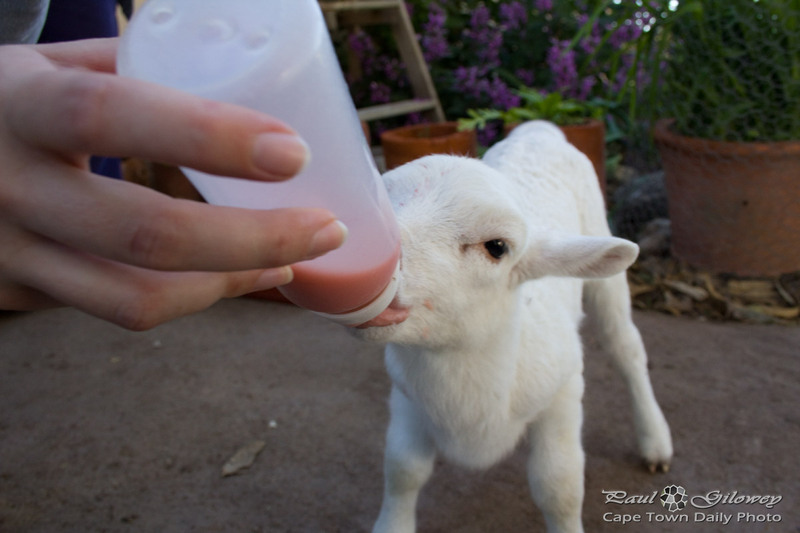 Our nieces (who live on a farm) excitedly informed us that it's lamb season in Langebaan, where they live. 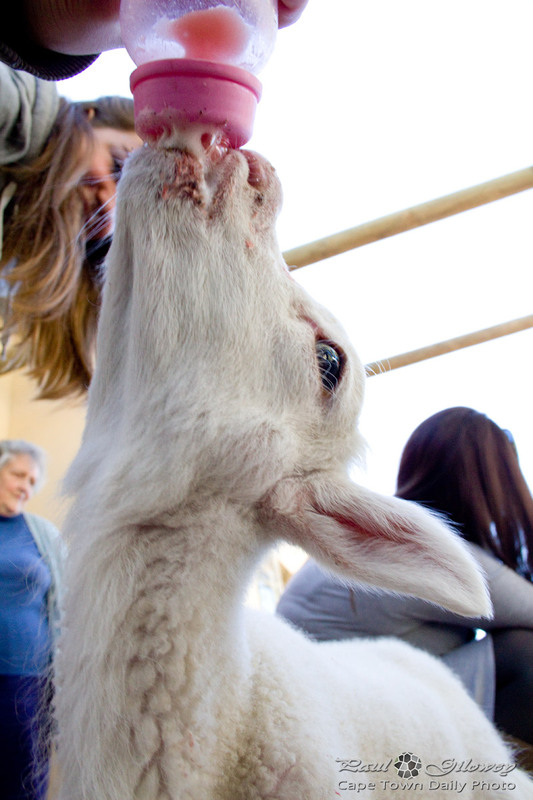 Lamb season invariably leads to one or two abandoned lambs - which, as you can imagine makes said nieces extremely happy. Not because their mothers abandoned them, but because they get to take care of the little ones. 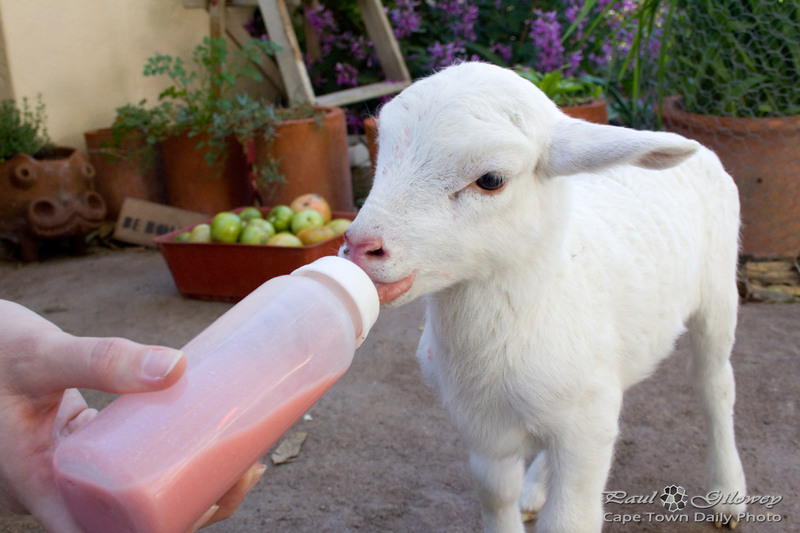 This photo is of Kerry-Anne (also really excited to be playing with lambs) feeding one of the babies a strawberry milkshake. Nice hey? 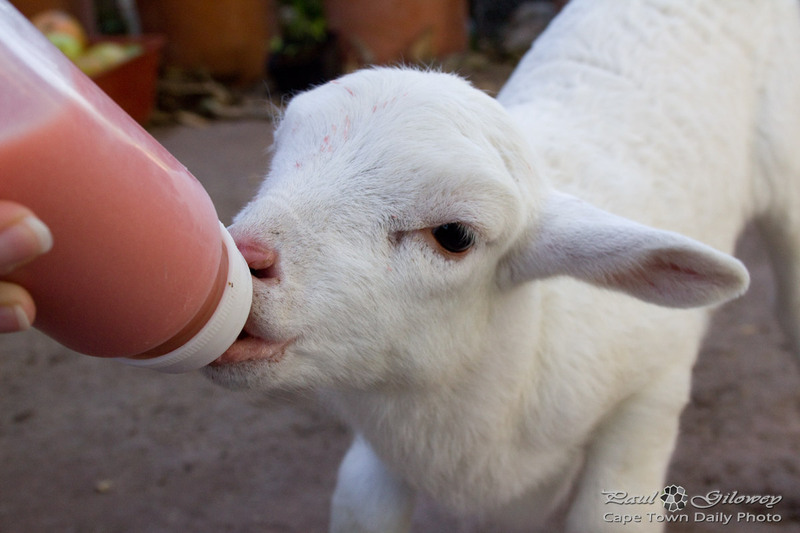 For what it's worth, it wasn't actually a strawberry milkshake, it's a special formula that the farmer provides to feed the abandoned lambs. 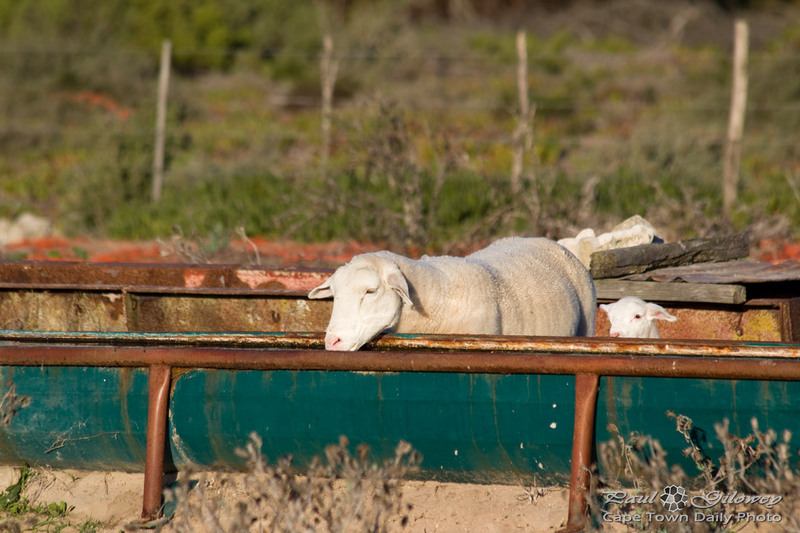 Posted in General and tagged animals, lambs, sheep on Wednesday, 6 June, 2012 by Paul.